An application to build 120 new houses in Fraserburgh has been recommended for approval by the Infrastructure Services Committee. The plans are for a proposed housing development by Colaren Homes on land situated to the south of Boothby Road. 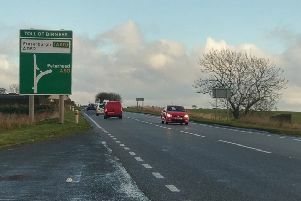 The plan is part of the long-running Kirkton masterplan which was launched more than a decade ago and the plans are envisaged to be the first step to creating a major 600-house expansion to the souther edge of the town. The application will be decided on by councillors when it goes before the Banff and Buchan Area Committee on June 14. The plans are the first phase of the development called Kirkton Heights and been drawn up by architects Taylor Design Services with property consultants Knight Frank and engineers Cameron & Ross. Speaking at the time of the application, Guy Purves, a senior planner at Knight Frank, said: ““A lot of work has gone into the plans since the approval of the masterplan in 2014.